The address that sits on the top of our masthead may not mean too much to most of our readers. But for our small staff at One Story and the hundreds of other Brooklyn artists and small press publishers who work there, the Old American Can Factory is a beloved home, a community of like-minded people that enjoy working off the beaten path (i.e, anywhere but Manhattan). For those unfamiliar with the neighborhood, our office rests right on the scruffier edges of Park Slope, not too far from the Gowanus Canal. 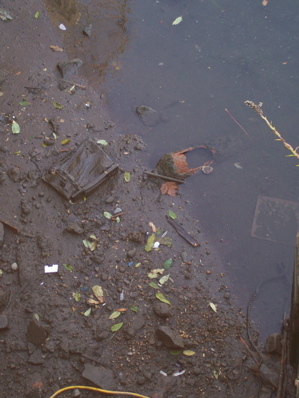 The Gowanus has been in the news quite a bit recently. Those keeping up with the EPA may remember that earlier in the year, the Canal was nominated for inclusion on the Superfund list, a government program that works to insure long-term clean up on some of the worst toxic sites in the country. For those of us who have suffered schlepping through floodwaters thick with garbage and have seen New York state’s own remedial projects fail to get off the ground, designation on the Superfund list could yield great things. This is not to suggest that inspiration can’t be found there. Local photographer Jose Gaytan was profiled on the NY Times “Lens” blog recently and the Gowanus he has captured over the years is full of a mysterious and other-worldly beauty, with some night-scapes recalling the canals of Venice. One wonders while looking through these snapshots what other majesties may be unearthed in a cleaner and safer environment. This entry was posted in One Story News by Sara Batkie. Bookmark the permalink.